RB Fred Jackson appeared for a full hour on Bills flagship station WGR Sportsradio 550 Monday on the Howard Simon show and addressed several topics. One was as his role as captain and heading into next season he intends to make the image of one of his teammates his personal project. Stevie Johnson is a lightning rod for attention when it comes to Bills fans with a seemingly equal split on him as a player. 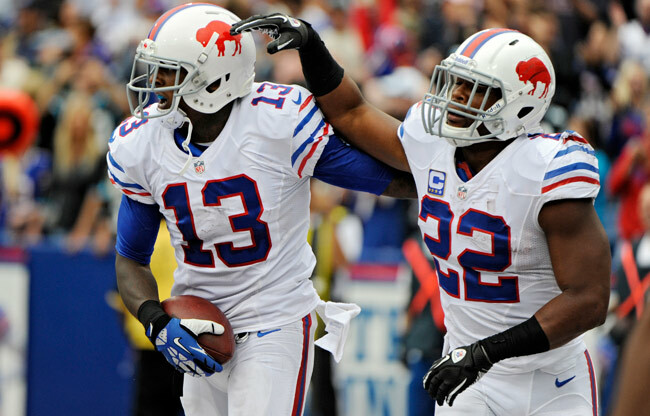 Jackson was asked by Simon if he sees a future for Johnson in Buffalo in 2014. Buffalo’s co-captain said he does, but also intends to make it his personal mission to repair Johnson’s public image and consistency on the field.